Dovid is a 40 year old who hasn’t felt well for the last year. Other than not “feeling right”, he had no other symptoms. Dovid was overweight with a BMI of 28.5 and didn’t get a lot of exercise or activity. His diet was very “western”, meaning too high in saturated and trans-fats and with much too much salt and sugar. He had been to his physician the previous week and the doctor spoke to him about taking medications. Dovid did some research and saw that most blood pressure medications had multiple side-effects and was looking for a possible alternative. 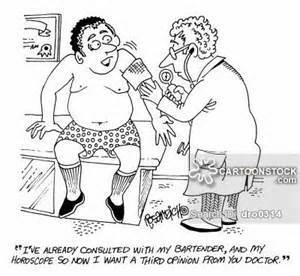 After taking the pertinent information for a first visit, I checked his blood pressure which was high. His blood work showed no other obvious health problems. High Blood Pressure or Hypertension is known as the silent killer. That is because it takes a while for symptoms to become present—usually years. About 70 million American adults (29%) have high blood pressure—that’s 1 out of every 3 adults. Only about half (52%) of people with high blood pressure have their condition under control. Nearly 1 out of 3 American adults has pre-hypertension—blood pressure numbers that are higher than normal, but not yet in the high blood pressure range. High blood pressure costs the United States $46 billion each year. This total includes the cost of health care services, medications to treat high blood pressure, and missed days of work. Your heart is a fist sized muscle in the middle of your chest. It contracts and releases about 100,000 times a day and it pushes 7000 liters (1,850 gallons) of blood through your arteries. After that, the blood returns through the veins and this process repeats itself all day everyday as long as we are alive. As the blood flows through our blood vessels, there is pressure against the arterial walls—that is the blood pressure we are talking about. When the doctor checks your blood pressure, he always gives you two numbers. We call these systolic and diastolic. The top number, or systolic, measures the pressure against the arterial wall when the heart is contracting. 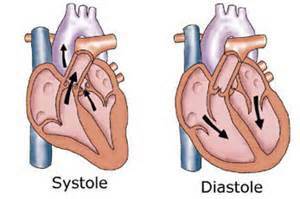 The diastolic or bottom number tells us what the pressure is when the heart is in the release phase. The average blood pressure is 120/80. But everyone is a little different and sometimes the time of day can make a difference too. But until age 60, we want to stay as close to those numbers as we can. After age 60, a higher number, even 130/90 is now called acceptable. But in general, 120/80 or less is the target. Maintain a healthy weight. Being overweight can make you two to six times more likely to develop high blood pressure than if you are at your desirable weight. Even small amounts of weight loss can make a big difference in helping to prevent and treat high blood pressure. 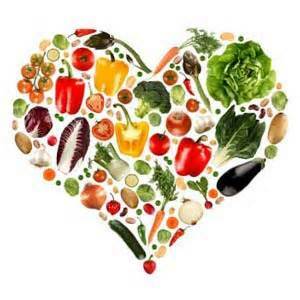 Reduce salt intake: Often, when people with high blood pressure cut back on salt, their blood pressure falls. Cutting back on salt also prevents blood pressure from rising. Most of the sodium we consume comes from processed foods and canned foods. Also, beware of soy sauce, pickled products, and most cheeses. Drink alcohol in moderation, if at all: Drinking too much alcohol can raise your blood pressure. To help prevent high blood pressure, limit your alcohol intake. Reduce stress: Stress can make blood pressure go up, and over time may contribute to high blood pressure. There are many steps you can take to reduce your stress. See a wellness or life coach to get some good tips. Get regular exercise: People who are physically active have a lower risk of getting high blood pressure — 20% to 50% lower — than people who are not active. You don’t have to be a marathon runner to benefit from physical activity. Even light activities, if done daily, can help lower your risk. Even a daily moderate walk of 20-30 minutes is very helpful. Stretching helps blood flow throughout your body. You should do weights, however if you already have high blood pressure, start with light weights only. As your blood pressure goes down, you can begin to use heavier weights or more resistance in your muscle building exercises.